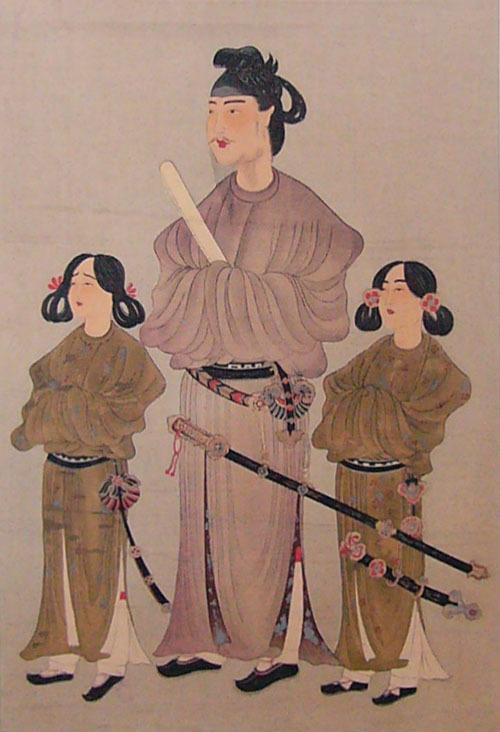 Shotoku Taishi (574-622) was the crown prince in ancient Japan. Instead of becoming the emperor, his life ended as a regent of his aunt empress. Still, every Japanese school history textbook mentions him as an admirable politician who established a firm foundation for the imperial court to rule Japan there after. He was the man who called Japan “the country of the rising sun” and China “the country of the setting sun,” and he also made the first constitution for Japan and established the twelve official ranks at court. He was a strong supporter of Buddhism and started the practice of sending imperial embassies to China. His face was printed on yen bills from 1930-1984, and so almost all Japanese know his name and face. On the other hand, many of the facts about his life were recorded many years after he died, and they include many legendary episodes, making his existence very mysterious. Some historians even discredit the accurateness about all his achievements. 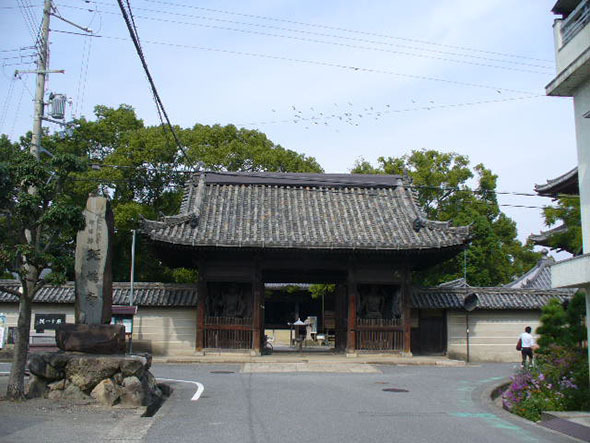 Ikaruga Temple is a very old Buddhist temple located in Taishi town of Hyogo prefecture. The temple history tells that it was founded by Shotoku Taishi. Here, they house something called “Chichuseki,” literally meaning a stone in the Earth as the temple’s treasure. To our surprise, it is a globe made by stone: lands are expressed in convex form and seas are expressed in concave form. As we learned, Shotoku Taishi lived some 1,400 years ago. At that period in East Asia hisotry, nobody had the idea that the Earth was a sphere. How could anyone make a globe in that period? 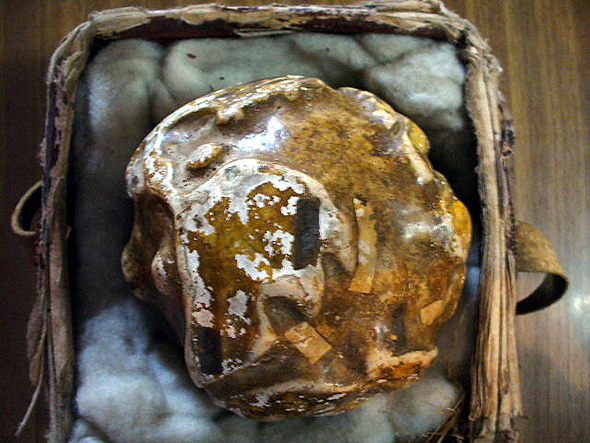 More than that, the Chichuseki globe has not only Eurasian and African Continents, but the continents known after the Age of Geographical Discovery, including both North and South American continents (discovered by the West in 1492) and the Antarctic Continent (discovered in 1820) are depicted very precisely. A clue about how this globe was made can be found on the globe itself. There are three large land masses located in the middle of the Pacific Ocean clinging together. This must be the Mu Continent that sank in the bottom of Pacific Ocean 12,000 years ago. This means that the globe is based on the age of geography when Mu was still in existence. Shotoku Taishi might have had some kind of secret knowledge that he inherited from the lost civilization of Mu to make this globe. “Chichuseki” is not made of stone, but is a product of plaster and glue made from sea weed. This technique of making a kind of cement by mixing plaster and sea weed glue is unique to Japan and was developed in the 15th century. On the Continent that looks like Antarctica, in Chinese characters, there are letters that can be read Mo-ga-ro-ni-ka. This part was written down on paper and imbedded on the surface of cement when it was still wet–it was not written down after completion. Mo-ga-ro-ni-ka is the Japanese way to pronounce Magallanica. In the 17th to 18th century, though the Antarctica was not yet recognized, they had a custom of drawing an imaginary continent in that space. Magallanica is one of the names of this continent and it was named after Ferdinand Magellan (1480-1521) who went around the world on the southern hemisphere route. By the early 18th century, copies of the European world maps were often published in Europe and also Japan. You can see the letters Mo-ga-ro-ni-ka on such maps. So this globe was made in the 18th century based on the latest Western knowledge, using the techniques of the period. It happened to be dedicated to the temple founded by Shotoku Taishi and became the temple’s treasure. This does not mean that a 7th century prince made or used the globe. However there remains the question about the mid-Pacific continent. Could it really be Mu? Comparing this globe with a modern one, we notice that Japan and Ryukyu archipelago and islands are located further south than where they should be. We can also see many lands located in the Pacific. These islands that belong to the Philippines and Indonesia are deformed and placed further East. When you make a sphere from plaster, it is better to place ups and downs on the surface evenly. The manufacturer of this globe had to move Filipino and Indonesian islands to the center of the Pacific Ocean in order to make a fine ball shape. What looked like Mu were parts of these islands.